The 20th annual Trek for Tech, to be held this year on Saturday, November 3, is the school's main fundraiser for technology needs. Last year, Trek for Tech provided $37,000 in new student laptops, teacher computers, telephone equipment, Wi-Fi at the Warrior Athletic Complex, and new auditorium lighting. Technology changes quickly these days. 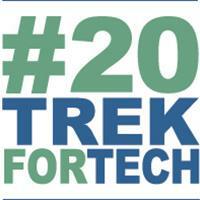 That's why Trek for Tech, and your tremendous support, are so important to our school. We hope you will also consider being a sponsor of our technology needs. Registration is now open. You can register for the 1-mile Fun Run or the 5K Race, purchase Raffle Tickets, and buy the Pasta Lunch donated by Guess Who's Coming to Dinner. This year's Race Poster features the 2018 Design Contest winners from more than 60 entries from Lower, Middle, and Upper school students. The winning artwork of Loveth Heard (11th Grade), John Hirata (12th Grade), and Hunter Cowart (10th Grade) is displayed on the Trek poster. 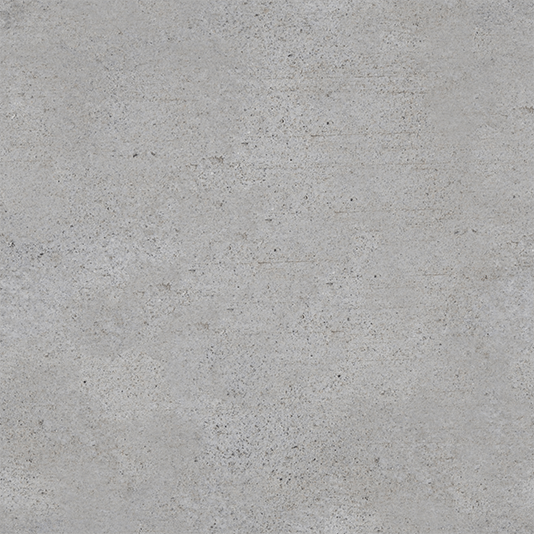 Please contact John P. Owen . Please contact Karen Owen . The Creative Arts building at Fair Park is transformed each year into a fabulous showcase of local talent. Ribbon winners in more than 1,100 categories, including canning, quilts, photography, arts, and crafts are artfully displayed in their 1,700-square-foot home. This year's display during the State Fair of Texas features the handiwork of two members of the Lakehill family. While their mediums are different, their creativity and dedication to their craft are universal. 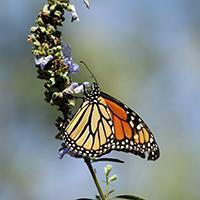 Sixth grade student Ally Therival entered a photograph of a butterfly and received an honorable mention in the Nature Photography category for youth. Although Ally has been taking pictures for awhile, she only recently began shooting with a DSLR camera with an ultra zoom lens. Elizabeth Schmitt, Lakehill’s sixth, eighth, and ninth grade English teacher, who made her State Fair debut last year with a third place finish for her crocheted hooded poncho, earned an honorable mention this year with her crocheted mermaid's tail. You can see these winning entries and more in the Creative Arts Building (the one with the butter sculpture in front). If you are a student of Ms. Schmitt, take a photo of yourself next to her entry to earn extra credit for her class. To learn more about the various competitions available at the State Fair of Texas, click here . After completing their reading of Othello, members of the junior class and Lakehill's Meats and Theats club attended a Shakespeare Dallas production of the play at Shakespeare in the Park on Saturday, September 29. 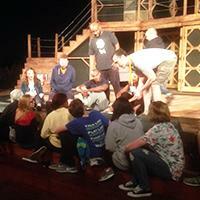 They also had an exclusive Question and Answer session with the cast after the performance. "Seeing the play performed made it more accessible," explained junior Ella Witherite. "It really helped my understanding of the text. Iago enjoyed goading Othello and seeing his reactions. Seeing the personalities and facial expressions made me realize the importance of jealousy in the play." 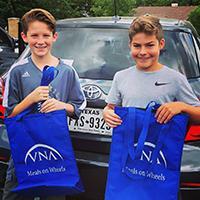 Lakehill's sixth grade class has taken on Lakehill's Meals on Wheels route for the 2018-19 school year. Groups of two or three students deliver meals on the first, third, and fifth Wednesday of each month. The group delivered their first meals on September 3, and will continue the project through May. The experience is already making an impact. "I really liked seeing how happy they were when someone new was there to say 'hi' and bring them lunch," said sixth grader Harper Kuhn. "It was a fun way to do something good and help people with friends from my class," agreed Esther Neerman. This is Lakehill's seventh year to participate in the Meals on Wheels program. Groups who might be interested in participating with Lakehill's Meals on Wheels route should contact Ms. Ekstrom for more information. For more than 20 years, volunteer groups have gathered monthly to pick up trash at White Rock Lake. The Adopt-A-Shoreline program is a Dallas Park and Recreation Department initiative administered by For the Love of the Lake. Fifty local organizations have pledged their commitment by signing on as Adopt-a-Shoreline groups, agreeing to maintain a portion of White Rock Lake and its grounds and keep it litter-free. Lakehill has served as an Adopt-a-Shoreline Group since 2009, having twice been recognized as the Volunteer Group of the Year. Members of the Warrior Outreach Organization (WOO) kicked-off a year of service by leading Lakehill's 122nd clean-up on September 8. More than 60 Lakehill volunteers of all ages participated in the event. The next monthly spruce-up, open to all Lakehill students, families, and friends, will be held on Saturday, October 20. On Saturday, October 13, the Warrior Outreach Organization will be aiding the City of Dallas by painting over graffiti. All upper school students are welcome. Members of Lakehill's Middle School volunteered at the Mockingbird Elementary Fall Carnival on September 29, running several of the game booths. 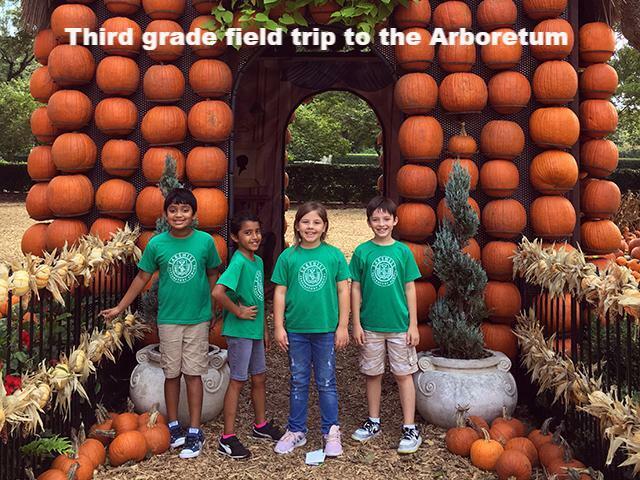 "I really enjoyed watching the children have so much fun," said sixth grader Maeve Smith. "I'm glad we could be there to help make it a special event." Fostering their love of helping others builds the confidence of Middle School students and helps them understand that they have the power to make a difference through their gifts of time and effort. On September 29, the Senior class hosted a movie night for Lower School students to raise money for Lakehill's Holiday Luncheon for senior citizens. The Holiday Luncheon is a treasured annual event, led by the senior class, that involves the entire Lakehill student body and staff. This year's event will be held on December 14. Several events were held this week to help Lakehill students of all ages and their parents get ready for the new year. 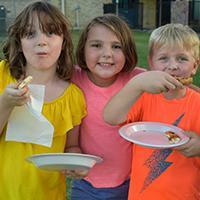 On October 3, students in kindergarten through second grade and their families gathered for pizza on the playground. Parents of Lakehill's seniors met with senior sponsors Heather Dondis, Bob Yttredahl, and Jennifer Herta on October 3, to find out more about senior events and activities. They also attended a college meeting earlier in the year. Parents new to Lakehill this year gathered on October 4, to ask questions and learn more about Lakehill and upcoming events. 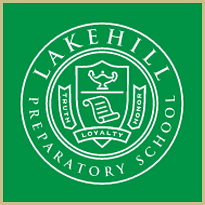 Lakehill instituted a more comprehensive recycling program last year. The school can now recycle more than glass, cans, paper, and plastic. Separate bins for batteries are available near the reception desk at the main entrance. Lakehill is now partnering with Crayola in Crayola ColorCycle, a program designed to re-purpose used markers, rather than sending them to landfills. 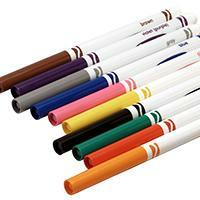 Expended markers, highlighters, and dry erase markers can be placed in the drop-off boxes throughout the school. Even non-Crayola brands will be collected. Collection boxes are located on the second floor near Ms. Thomson's room, on the first floor near Ms. McCarty's room, and by the battery bin near the front entrance. Since 2013, the ColorCycle program has re-purposed more than 70 tons of expended markers in the United States and Canada, keeping tons of plastic out of landfills each year. 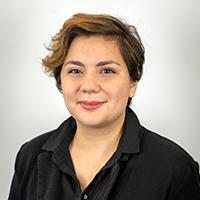 Anita Nuñez joins the Lakehill faculty this year, teaching Lower and Middle School Spanish. Sh e is also a co-sponsor of the Lower School Garden Club. Originally from Lima, Peru, Nuñez moved to Dallas with her family in 1998 for greater economic opportunities. She graduated from the University of Texas at Dallas, with a Bachelor of Arts in Sociology. Inspired by her mother, a lawyer who became a kindergarten teacher after the family moved to the U.S., Nuñez has found her calling in teaching. Now in her third year, Nuñez was a bilingual pre-K teacher in the Dallas ISD prior to coming to Lakehill. Nuñez has been married to her husband Brandyn Lee, a doctoral student in astrophysics at the University of Texas at Dallas, for two and a half years. She enjoys spending time with their two cats, and loves to draw, paint, and do block printing in her spare time. "Though I'm not particularly good, it's fun and relaxing to create." Nuñez also loves the beach. "Bujama Beach, about an hour outside of Lima, is my favorite place from my childhood." She is passionate about giving back to her community and is active in immigration justice work in the Dallas area. The best advice she ever received was, "Always stand up for what you believe in, even if it's unpopular." Nuñez believes that the best part of her job is getting to know and interact with her students. "Through teaching, I can make an impact on children's lives." 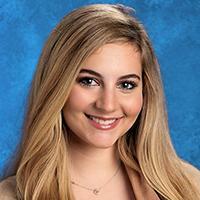 Emily Bernstein has attended Lakehill for two years and has participated in many activities. She is a member of PASF, Sisteens, the Debate Club, and the Varsity Cheerleading squad. Outside of school, she is an assistant teacher at Temple Emanuel, serves as an assistant at DKMS, an international organization that helps people with blood cancer, and babysits. Emily’s favorite class at Lakehill is AP Psychology because she is intrigued by the topics, and because she wants to study Psychology in college. She is applying to Lehigh University, Boston University, the University of Massachusetts, and Syracuse University. The JV Volleyball team lost two hard-fought district games this past week against Heritage Christian and Irving the Highlands. Both games went the distance and the Warriors played hard. The girls will look to rebound next week during a busy three-game week. The Varsity Volleyball team lost a tough five-set match in Rockwall on September 27, against Heritage to put them in a tie for first in district. There was a lot of Warrior Spirit in the gym to match Heritage's home-court crowd. 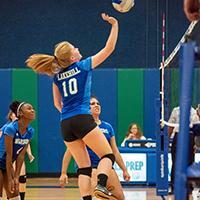 The girls bounced back by beating Irving the Highlands on October 2, in four sets. The team was led by Maddie Cerda with 20 kills on the night. Both JV and Varsity have three back-to-back games next week. They will be in Texoma on October 9, for 5:00 and 6:00 p.m. game starts, before facing Yavneh at home at 5:30 and 6:30 p.m. on October 10. 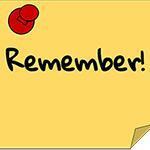 They will finish the busy week with a trip to Lutheran on October 11, at 5:00 and 6:00 p.m. The Middle School Blue and Green Volleyball teams fought hard on September 27, against Waxahachie Prep and Alcuin, respectively. The Green team won their match in three sets to secure the win. The Blue team also battled to three sets, but could not secure the win. The Blue team played in a tournament at Waxahachie Prep on September 29, where they claimed fifth place. Both teams earned a win on October 1, against Garland Christian. Sofia Bracken on the Blue team and Taylor Gardsbane on the Green team carried their respective teams with solid defense. The Green team takes on neighborhood rival St. John's at home on Thursday, October 4, at 4:00 p.m. The Blue team will follow at 5:00 p.m., in their final game of the season against Poetry Christian. 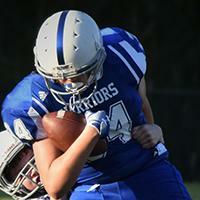 The Lakehill Warrior Middle School Football team defeated Garland Christian, 45 - 0, at home on September 27. The team was led on offense by Murray Smith‘s four touchdowns. The Warriors had strong offensive performances by Jon Paul Maney, Tristan Osang, and Lucas Chretien. Jack Widhalm and Nicholas Meadows did a great job blocking. On defense, Connor Wallace grabbed an interception. Austin Boothe continues to deliver a solid defensive effort each week. 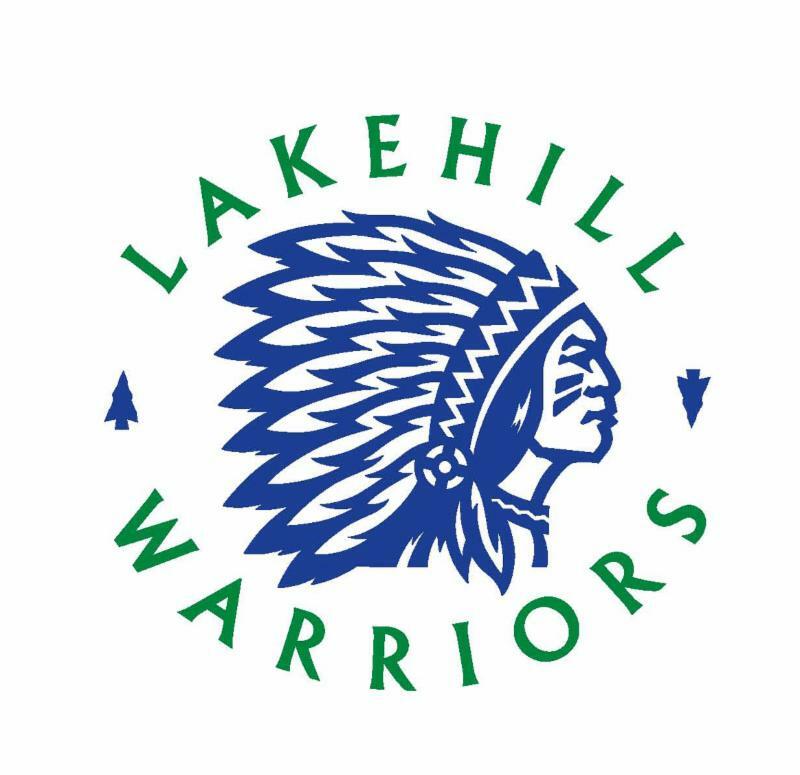 The Varsity Warriors opened district play on September 28, with a 60-34 loss at home against Gainesville Lone Star High School North. The Warriors were not able to score in the first half. In the second half, however, the Warriors scored five touchdowns to close the gap to 28. Mitchell Crow threw three touchdown passes to Ben Palmer. Palmer and Ryan Henry also combined to rush for over 100 yards. The Warriors are at home on Thursday, October 4, against Denton Calvary. Start the long weekend with a double header of Warrior Football! Middle School plays at 4:30 p.m., followed by Varsity at 6:30 p.m.
See more Middle School and Varsity Football pictures. Lakehill rowers with Dallas United Crew competed on September 29-30, at the Head of Oklahoma Regatta on the Oklahoma River. Forty-three teams from across the United States and Canada sent 773 entries in the 4,000-meter head races. Beautiful fall weather made for an exciting regatta, and the Lakehill Crews' preparation and hard work paid off. Connor Alexander and Anders Ekstrom, rowing together for the first time, finished fourth in the Men's Varsity Youth 8+. Their performance earned their boat a coveted spot in the Grand Final of the Night Sprints, a 500-meter race on Saturday evening under permanent lights - the only permanently lighted race course in the world. In the Men's Varsity Youth 4+, Ekstrom and Alexander finished fourth and seventh, respectively. Eighth grader Margaret Henderson placed fifth in the Women's Varsity Youth 8+, also earning a place in the Night Sprints. She also took eighth in the Women's Varsity Youth 4+. 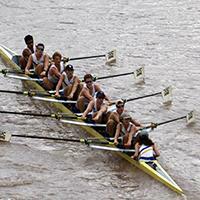 Crew teams will be back on the water on October 13, in Waco at the Head of the Brazos Regatta. After another disappointing rain-out on September 29, the Cross Country team will run in the Jesuit Cross Country Classic at Norbuck Park on Friday, October 5. The first race is at 9:55 a.m.